Quinoa has been around for a long time. I just tried it for the first time this week for lunch and I’m hooked. It’s super-filling, and you can basically throw together any combination of veggies and spices and make a delish lunch. Per self.com’s nutrition fact database the serving size is 1 cup (cooked); 222 calories, 8 grams of protein, 5 grams dietary fiber, no cholesterol, and low in sodium–13 mg.
Cook quinoa as directed on package, while quinoa is cooking, heat olive oil in a large skillet, add the remaining ingredients, including the seasoning. Cook on medium-high until veggies are soft–about 10-15 minutes. 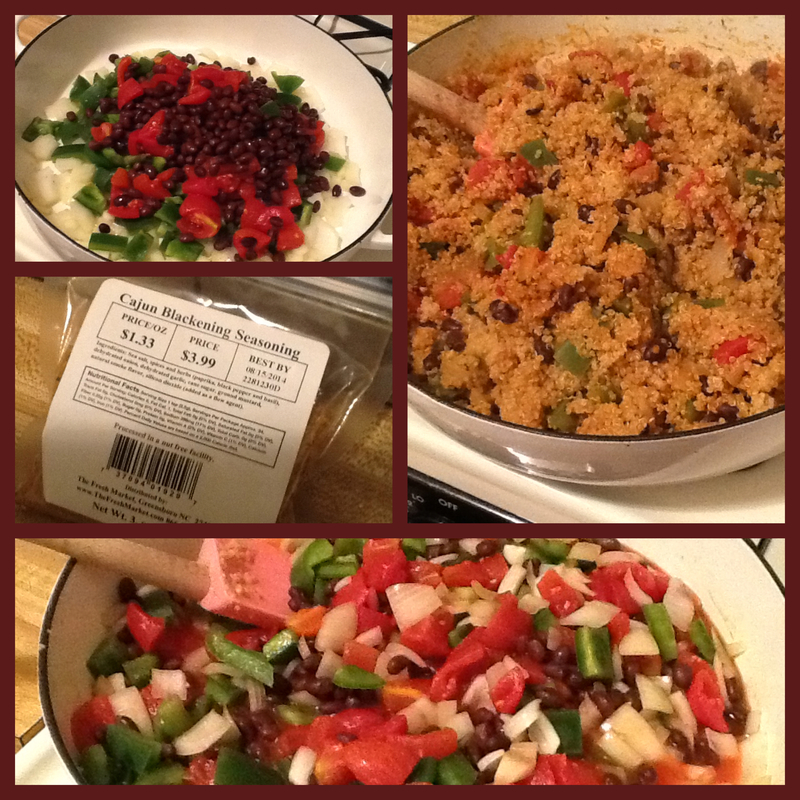 Then add the cooked quinoa and let simmer for about 20-30 minutes.